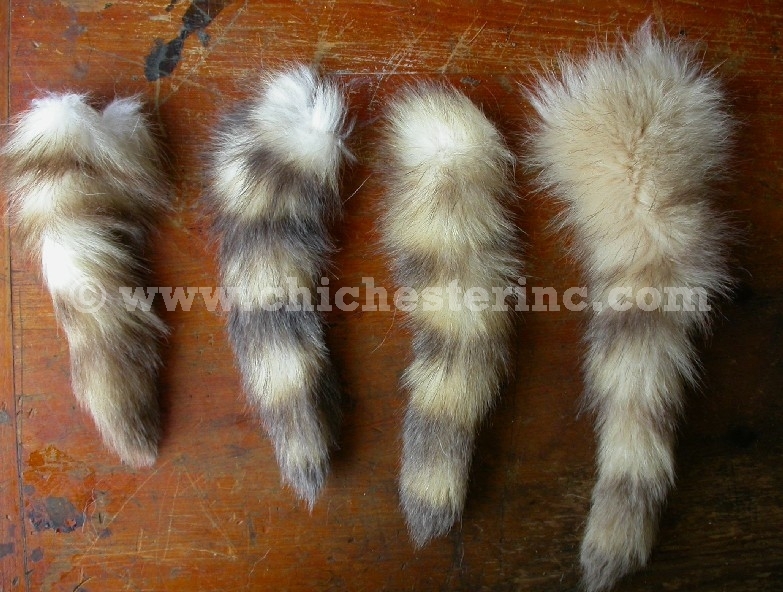 We have a limited number of bleached raccoon tails. These are from skins that have been bleached. The coloring is more of a honey brown. They are approximately 9" to 13" in length.